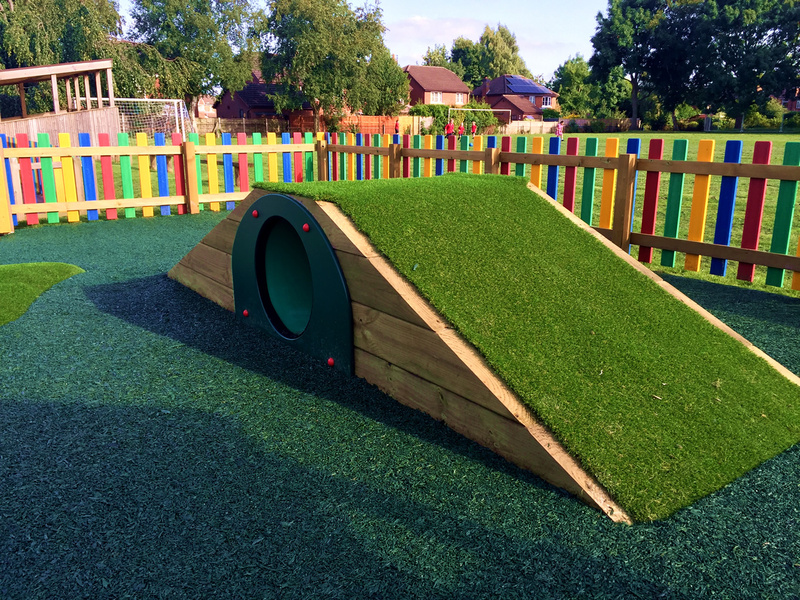 Our new attractive, child friendly, surface mounted Tunnel Mounds are ideal to add a bit of fun and adventure to a flat play area. 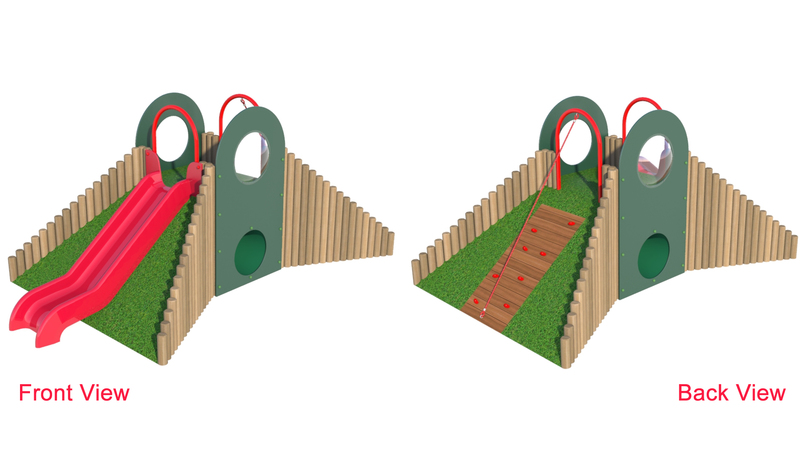 The Hill Top Tunnel is secured into position and landscaped over by compacted stone / cement ready to receive our luxury artificial grass or Bonded Rubber Mulch Safety Surface and surrounded with playgrade timber poles & look out domes to create an attractive and fun teletubby style mound the children will love clambering to the top of and scrambling through the tunnel. 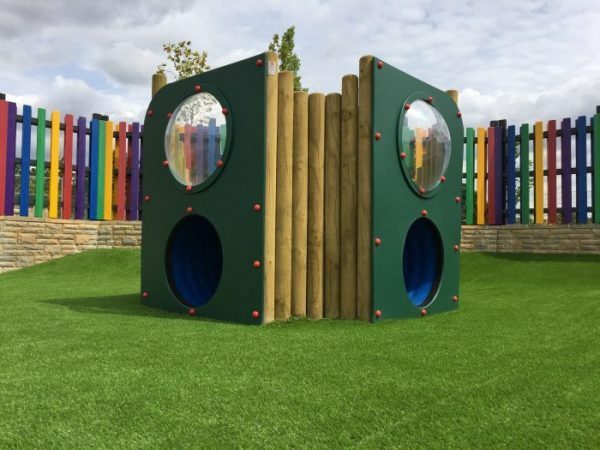 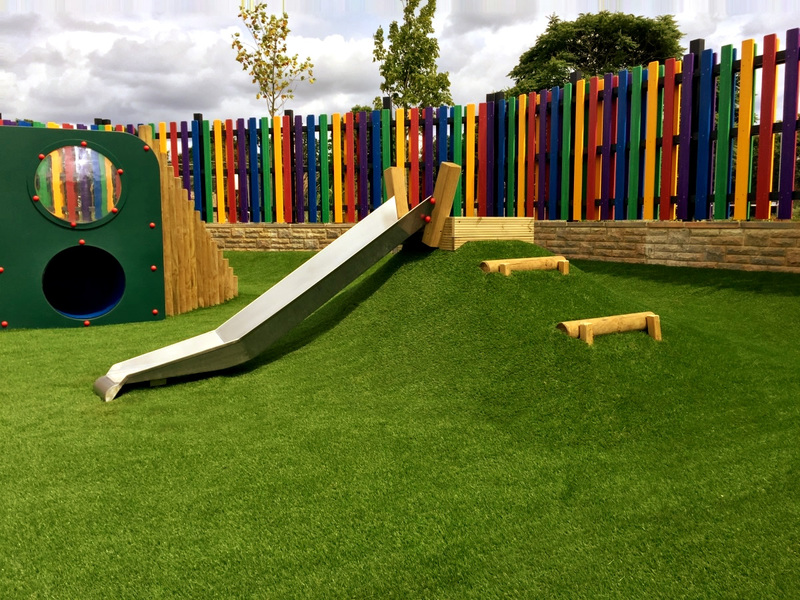 Constructed with a toughened child friendly plastic tunnel and pressure treated play grade timber poles and HDPE fascia panel (available in a variety of colours).